GRACE is excited to bring to you more in our series on surviving with cancer. In this new video, Raquel presents information on breathing techniques to prep for radiation and relaxation. Embedded video for GRACE is Pleased to Partner with Living Yoga Therapy! 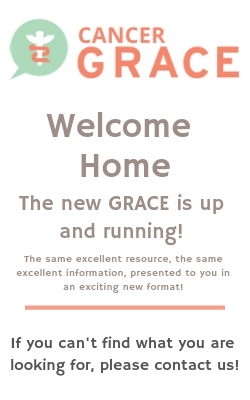 GRACE is excited to bring to you a new series on surviving with cancer. Our friend and partner, Raquel Jex Forsgren is the founder of Living Yoga Therapy based in Chicago, and is a certified oncology yoga therapist and resiliency coach. She brings us tips and techniques for those dealing with cancer. Embedded video for Spanish Blood Cancer Library - Is there a preferred induction therapy? Spanish Blood Cancer Library - Is there a preferred induction therapy? Embedded video for Spanish Blood Cancer Library - What are the new antibodies for multiple myeloma (MM) therapy? Spanish Blood Cancer Library - What are the new antibodies for multiple myeloma (MM) therapy? Embedded video for Spanish Blood Cancer Library - Should all patients receive an autologous transplant? Spanish Blood Cancer Library - Should all patients receive an autologous transplant?